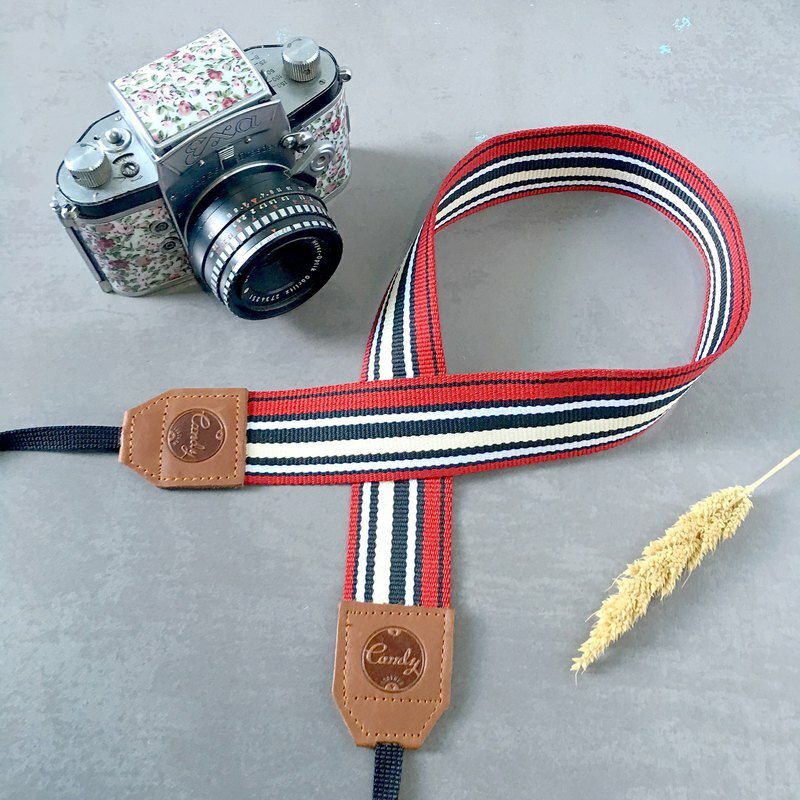 Camera Strap DSLR and Mirrorless Camera strap ● Made in Thailand ♥ Concept of Candy Leather Camera Strap - Soft and comfort on your neck - useful and never cut your neck - Colorful and fun ♥ Size Description Designer fabric and leather is 66 cm Long x 4 cm wide. Nylon is 1 cm x 40 cm and it strong enough to hold a large camera ♥ Material: Genuine Leather and fabric This fashionable camera strap is a 3 part design of Colorful fabric, Nylon webbing and soft genuine leather . The fabric and nylon keep the strap from being to heavy. This camera strap can hold every camera , from small point-and-shoots to large DSLRs. -if you want Presonalized Camera Strap, Stamp name on camera strap A-Z letter ,0-9 Number, & ,Love, Camera ,Dimond , Flower, Star, little Heart ,- and spot(.) . you can add name not more than 8 letter https://youtu.be/mcO4Ms5T7q4 ps . Please leave note ( Name ) for Seller after your order. This can be a great gift for anyone who have camera . ♥ International Shipping Special instructions: we shipping in register mail . So it mean somebody must sign it. if nobody home the postoffice will leave note for pick it up at postoffice within 2-3 week .